Take back your quality of life with a minimally invasive UroLift® System. We perform no-scalpel, in-office vasectomies. Get back on your feet in no time. Dr. Scott Dudak is equipped to treat low testosterone and other conditions. The best treatment for cancer is early detection. 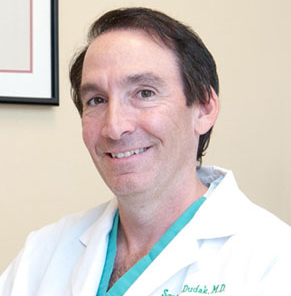 If you are looking for one of the top urologists in the country according to U.S. News and World Report, Scott D. Dudak, MD, FACS, is your choice for urology and urologic surgery in Boca Raton, Florida. Concerned about men’s health, prostate cancer or low testosterone levels? Interested in a vasectomy? Silently suffering from erectile dysfunction or lack of bladder control? From solutions to small problems to life-saving surgical procedures, Dr. Dudak offers a complete range of urology services for both men and women. Dr. Dudak takes the time to truly listen to his patients. At Dr. Dudak’s office, you will find unhurried, personalized care combined with state-of-the-art technology and expertise you can trust. To schedule an appointment with Dr. Dudak please call (561) 482-8111 today. Dr. Scott D. Dudak is an expert in the field of urology, specializing in men’s health/vasectomy services, urologic oncology, BPH (enlarged prostate), erectile dysfunction, female urology and kidney stone disease.